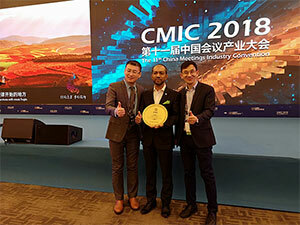 ICCA’s Regional Director Asia Pacific Noor Ahmad Hamid experienced a career highlight at the 11th China Meetings Industry Convention (CMIC) in Beijing in December, when he became the first non-Chinese recipient of the China MICE Hall of Figures Award, a prestigious accolade which honours those who have contributed to the advancement of China’s meetings industry. Traditionally awarded by ICCA member MeetingsChina and the CMIC to national industry heavyweights, Hamid’s inclusion among this year’s group of award winners is a testament to ICCA’s support for and advocacy of the development of business events in the country, as well as the growing ICCA membership across China. 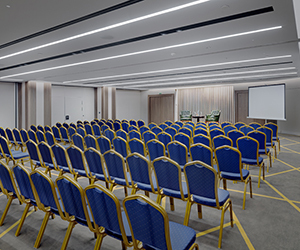 ICCA enjoys a strong and active community in China and has made major inroads into the Chinese meetings market since Hamid took the helm in 2009. ICCA’s Asia Pacific office has become an integral presence in the country, working closely with ICCA members across China to spread awareness and understanding of the importance of international business events. 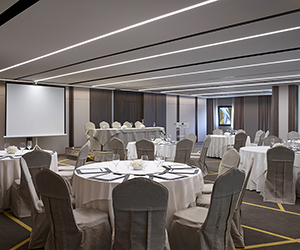 By maintaining a regular attendance at events organised by Chinese ICCA members, such as the CMIC, and supporting the work of the ICCA China Committee, a group of 54 industry leaders representing the country within ICCA’s Asia Pacific Chapter, ICCA’s Asia Pacific Regional Office empowers Chinese ICCA members to promote and develop the country as a world-class meetings destination of choice and use ICCA’s international network to utilise and gain market intelligence. As a result, national membership of ICCA has gone from strength-to-strength, growing threefold from 20 to 60 organisations with Hamid as Regional Director. Chinese ICCA members are leading players in the nation’s meetings industry development, organising major domestic events, the 11th China Meetings Industry Convention being one such example. The event, which was held at Yangqi Lake International Convention Center in Beijing from 6-8 December 2018 and is organised by MeetingsChina, attracts on average 1,000 delegates per year and is of tremendous national importance. This year’s edition has received governmental recognition in a show of support for the Chinese meetings industry, with more than 20 cities in attendance and the Beijing Municipal City and Hairou District Governments providing official backing. The ICCA China Committee also provided support, holding its second meeting of 2018 in Beijing in conjunction with CMIC. Hamid said of his recognition: “Chinese cities are very aware of the importance of the meetings industry and have invested heavily in developing world-class infrastructure to accommodate an ever-increasing number of international delegates. This commitment to the industry is extraordinary and is paying off, as China has experienced rapid growth over the past two decades, with the number of international association meetings held on an annual basis increasing to over eight times the amount held 20 years ago, according to the latest ICCA Statistics. I therefore expect China’s potential as an international meetings destination to develop even further, with our members at the very centre! ICCA’s Asia Pacific Regional Office is based in Kuala Lumpur, Malaysia and hosts the association’s Global Research Centre.